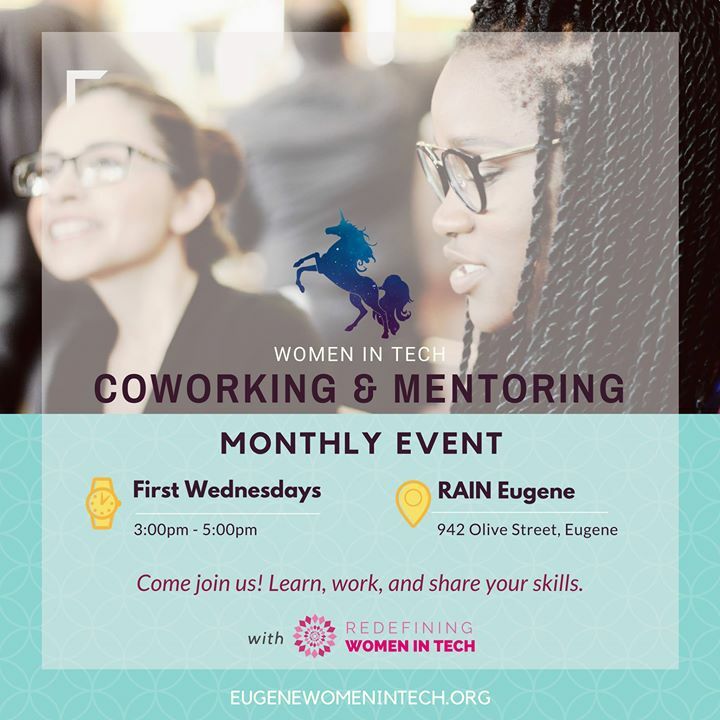 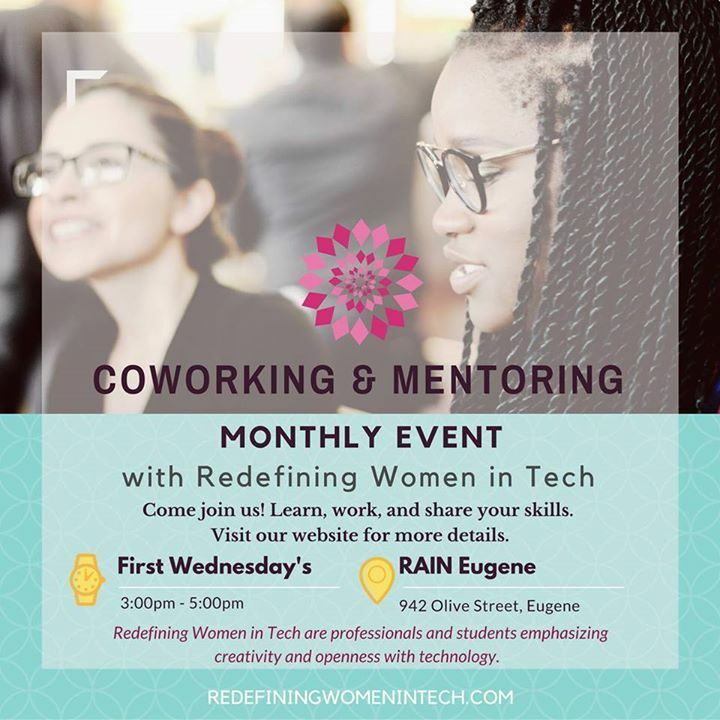 Join us for our monthly co-working and mentoring session with the Redefining Women in Tech Eugene community. Bring your own device or something to work on. 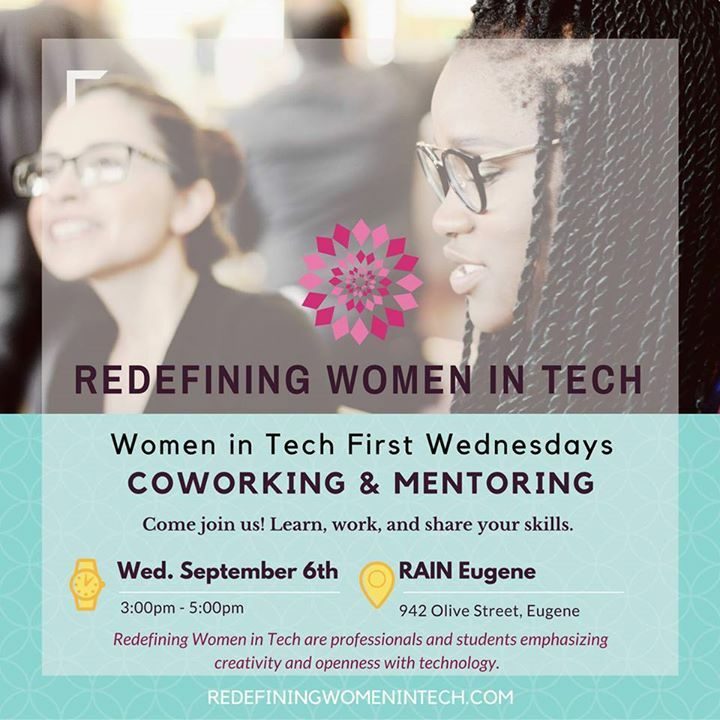 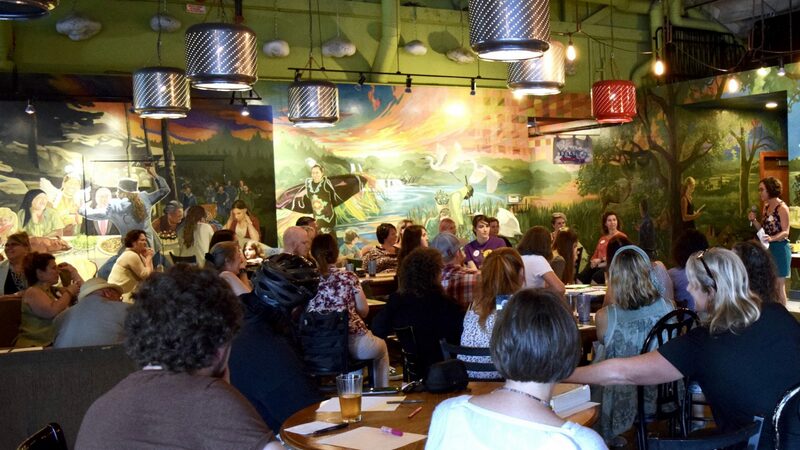 At 5:30pm, join the Eugene Women in Tech for their monthly First Wednesday happy hour event.